Houston, we have a problem – and it’s not transportation, thanks to Sam’s Limousine. Each year, Houston attracts nearly one million visitors to the world’s space and aeronautical hub, the world-renowned Johnson Space Center. We are your local expert for all things tourism and space-related. Sam’s Limousine specializes in group tours for schools and universities all across the country with our charters and shuttle buses, comfortably accommodating groups of up to 56 passengers within a single vehicle. 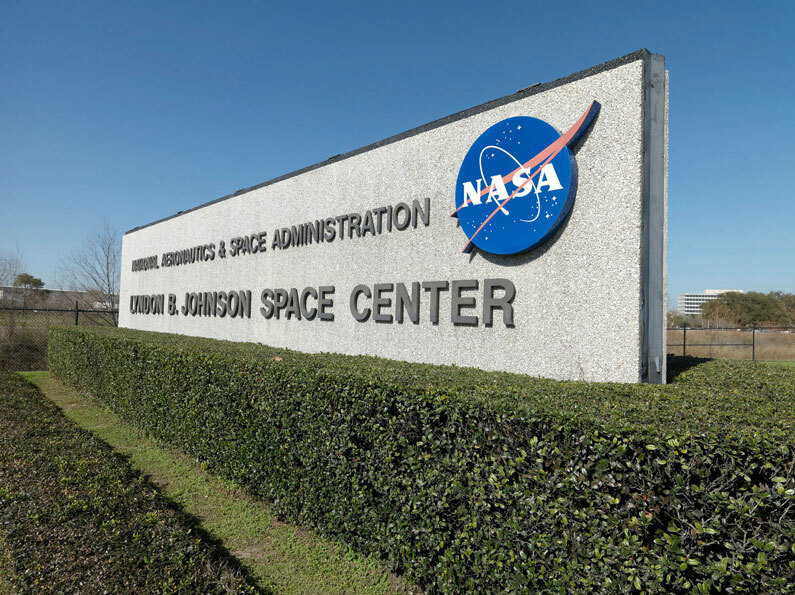 Officially a part of the bigger National Aeronautics and Space Administration’s Manned Spacecraft Center, the Johnson Space Center was designed by Joseph L. Smith & Associates. 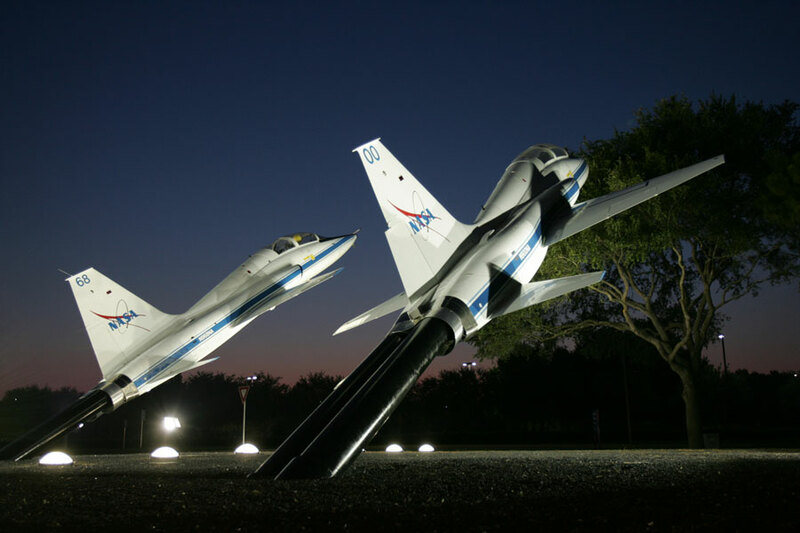 Situated in the Clear Lake area, its campus features over 100 buildings spread upon 1600 acres, with a dedicated concentration and focus on human space flight training, research, and flight control. Proudly owned and operated by the Manned Space Flight Education Foundation, the Space Center is actually a Smithsonian affiliate, the very first in Houston. It is an internationally known and respected facility dedicated to the continued education, research, and development within its field. With so many visitors each day, it’s important to know when to visit. The Johnson Space Center’s website reports that weekends, holidays, and summer are the busiest times. Hours of operation change depending on seasonal demand, but current hours have the Center opening at 10am and closing at 5pm on weekdays, 6pm on weekends. That leaves springtime in Houston as the perfect opportunity to visit, while families are enjoying spring break together. Our friendly customer service representatives can help you plan the most ideal time for your group to visit, along with a detailed itinerary reflecting the latest and greatest exhibits featured at Houston’s very own space headquarters. With rotating exhibits and experiences, the Johnson Space Center ensures that visitors never run out things to do. It boasts over 400 activities sure to thrill visitors of all ages. Explore over 1,600 square feet of wonder with the help of Space Explorers, real, live crew members who can answer questions and give insider info on featured exhibits. Just look for the red badges! This month check out performances by the U.S. Army Band at Independence Plaza before exploring the family-friendly pop-up science labs. Hear stories firsthand from the brave men and women who lived them with daily visits from real astronauts in Rocket Park. Dine with a real space explorer through the Lunch with an Astronaut series. Additions to these features include 4K Ultra HD Films shown daily in the Space Center Theater, in addition to 4 live shows. There are also two different simulators to instantly whisk you away and transport you to space: cutting edge virtual reality (VR), as well as motion simulators that mimic actual space travel. Blast off to the moon in a space shuttle or walk the spacewalk aboard the international space station. Don’t miss the Behind-the-Scenes NASA tram tour, perfect for those unable to walk or those simply needing a rest. Check out Apollo 17 and other aircraft that have explored the boundaries of space! Also this month, educators enjoy free admission with the Space Center’s current Educator Appreciation Month promo, ending March 31, with extra savings for family and friends. The Center offers affordable admission for children, with kids three years of age and under free, but adult tickets near $30 apiece. Parking demands an additional fee, and the Space Center dedicates a whole portion of its website to parking tips and advice given the high volume of traffic it experiences on a daily basis. Save the headache of driving and enjoy the voyage ahead! Put the focus back on the skies and arrive rested, refreshed, and ready to explore with Sam’s Limousine. If there’s one thing we know, it’s Houston. Our experienced and professional customer support team are used to working with large groups with intricate and specific needs. We will work with our esteemed neighborhood partners to combine a number of personalized services to design your perfect group outing. We offer group rates with special opportunities and experiences for our valued customers, with the opportunity to earn free tickets for our group customers. We can even plan and coordinate mouthwatering meals with Space Center in-house catering staff for a meal you and yours will never forget. Skip the busy lines and buy an affordable inclusive package from Sam’s Limousine that includes everything you need for your space themed adventure! Enjoy complimentary Wi-Fi, reclining luxury seats, multiple flat screen TVs, and on-board restrooms make travel to the Johnson Space Center a breeze, enjoying the trip to Houston from anywhere within the United States. Sam’s Limousine charter buses are also ADA-compliant. Call us today to schedule your perfect space mission to the Johnson Space Center with Houston’s trusted transportation provider, Sam’s Limousine! If you would like to book online visit our Request A Quote page and fill out a few questions.